Have you submitted your deposit? Click Family Pack to go straight to the family pack section of our shop. Choose your preferred type of bike from the drop down menu. If you are a student, on benefits or retired, you are entitled to a 50% discount. Just choose "Yes" from the concessions drop down menu. If you are not sure which bicycle you'd like to hire, you can find more information about our fleet here. Our winter season rates are the lowest on offer. At just over £2 per week, and little more than £1 a week for concessions, this just cannot be beaten! Choose your preferred type of bike from the drop down menu. If you are a student, on benefits or retired, you are entitled to a 50% discount. Just choose "Yes" from the concessions drop down menu. If you are not sure which bicycle you'd like to hire, you can find more information about our fleet here. Spring is here. Time to get out the bike and enjoy life! 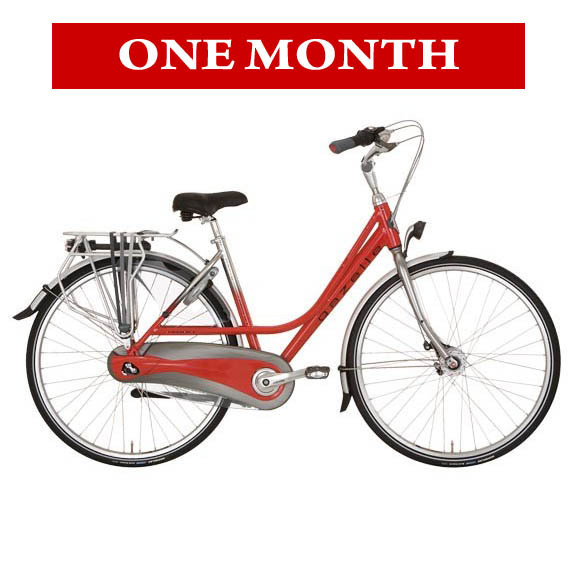 Our Summer Hire deal gives you 6 months of joyful cycling for the price of 4. There's no better time to try out of our city bikes. Choose your preferred type of bike from the drop down menu. If you are a student, on benefits or retired, you are entitled to a 50% discount. Just choose "Yes" from the concessions drop down menu. If you are not sure which bicycle you'd like to hire, you can find more information about our fleet here. Our low tariff for long-term hire, if you would like to have a bike available all year round. Save over 70% on our weekly hire price. Choose your preferred type of bike from the drop down menu. If you are a student, on benefits or retired, you are entitled to a 50% discount. Just choose "Yes" from the concessions drop down menu. If you are not sure which bicycle you'd like to hire, you can find more information about our fleet here. NOTE: There are no concessions on family pack items. 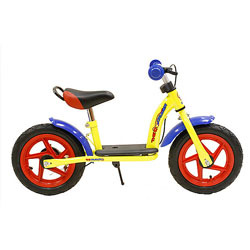 The Balance Cruiser Balance Bike is a great first step for young children to learn bike balance. The norm in other parts of Europe, balance bicycles come without pedals, allowing for kids to learn to ride at an even earlier age with improved confidence and enjoyment. Balance bikes let children learn the art of balancing and riding a bike naturally, without the need for stabilisers. For children between 2 and 4 years. The WeeRide Stagecoach is a foldable child trailer that takes up to 45kgs in weight - enough for two small children. It features a sling seat with 5 point safety harness, internal water bottle holders and pouches, a 2-in-1 weather canopy to help protect kids from sun and rain, and a convenient rear storage area for beverages and belongings. Its compact fold makes for easy storage between use, and its universal coupler means it remains upright even if the bike tips over. 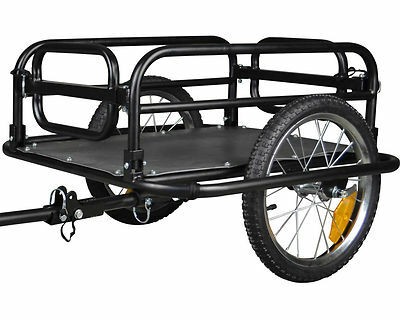 This is a great general purpose cargo trailer. It attaches easily to any bike and quickly collapses flat for easy storage. 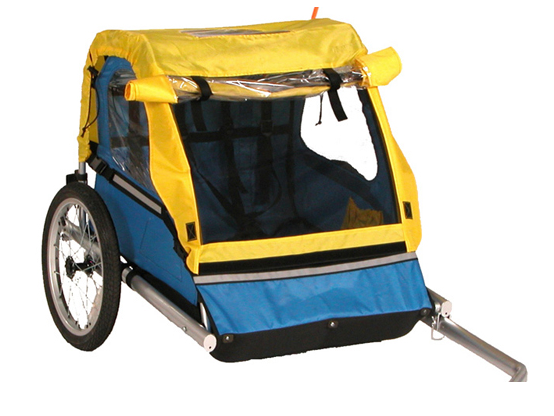 The cargo trailer is designed to carry various loads that you can take on your bike, up to a maximum weight of 40kgs. The internal dimensions are 70cm x 57.5cm x 32cm. 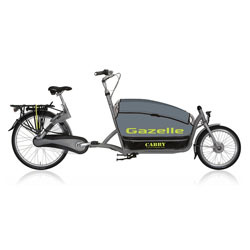 The Gazelle Dolphin bridges the gap between "child bike" and "adult bicycle". 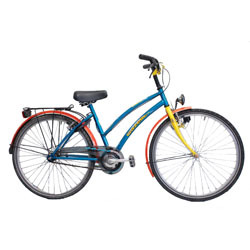 Ideally suited for children between 8 and 11 years old, the Dolphin comes with a 17" frame and 26" wheels. This single-speed dutch-built bicycle even has a front bottle dynamo to give kids the feel for these grown up extras. As we recommend this longer term hire to help children prepare for adult cycling, hire rates are for 6 months or 1 year. The Cabby is a very high spec family bike with a forward facing bench seat on which you can carry up to two average sized five year olds. It has an optional 'cabin' to keep them dry in winter and can even take a car baby seat. 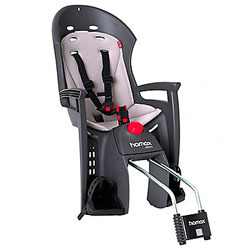 It is amazingly stable and easy to ride, park and unload - kids will just clamber in and out without it tipping. Made of light aluminium with seven speeds, it is fully equipped with hub dynamo lights, frame lock and steering lock. Hire periods from a week. 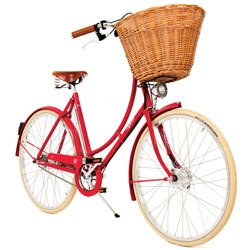 The Pashley Britannia is the final step for cycling kids on the way to adulthood. An adult bike in a smaller 17" frame, the Britannia is a stunning looker that is also available in a full adult-size frame. A Great British Classic, it comes with wicker basket, front and rear hand brakes, 3 gears, and full lights powered by a hub dynamo for the front and battery for the rear. The Britannia will suite young teenagers between 11 and 14 years old. Hire for between a week and a year at standard concessions rates.